Everyone knows that jewelry is the type of gift that is just imbued with love. Lovers have been exchanging jeweled gifts since time immemorial, which means that there’s really something to it. However, it also means that there is a right way to do it and there’s a wrong way to do it. A gift of jewels is a very personal exchange, which means that there is no one piece that fits everyone’s tastes. Sure, there are lots of trends that go in and out of style, but if you want to give your partner something that really symbolizes your love, then it’s going to need to be something a little more unique. Something a little more original. Here is how to say ‘I love you’ with jewelry. Throughout history, rings have been worn on the fingers of brides and grooms to signify their lasting bonds. However, things haven’t always been the same. Indeed, wedding bands have had a long and storied past. During wartime recessions, certain metals were hard to get and the gold or silver that was procured was not as high quality. What mattered, though, is the bond the ring signified – not the worth. In ancient Roman times, brides would wear complicated puzzle rings that took hours to put on. In Ancient Egyptian times, rings were made of reed or hay. Here is a brief and exciting history of wedding bands. 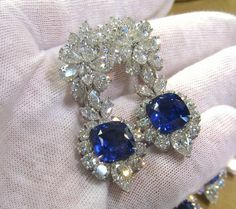 When it comes time to look for trustworthy jewelers, you want to be sure that you ask yourself a set of key questions. Most of the time, you can’t just head down to the first jeweler you see and purchase a diamond ring – unless the person is vouched for by someone you trust. Most of the time, you have to do your due diligence, which requires a bit of hard work, or at least a lit bit of research and background checking. Here are the top ten questions to ask when finding diamond jewelers. At this point, most of us have grown very accustomed to buying and selling products quite a bit online. However, selling a diamond online can still be very risky, and if you aren’t smart about it, you could definitely get ripped off. The last thing you want to do is try to sell it yourself using sites like Craigslist and eBay. You could easily fall prey to one of the many classic scams that these sites tend to harbor, or instead, you could use a fully insured online diamond brokerage business like North American Diamond Brokers that has an A+ rating with the Better Business Bureau. Here is how to safely sell diamonds online. Should You Buy Loose Diamonds? 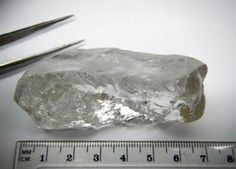 Everyone has seen those movies where the diamond broker or dealer hides a few gemstones in a secret compartment in a dress shoe, in a beehive hair-do, or in a steel suitcase. It may seem strange, but the majority of the world’s diamonds are transported between jewelry designers in a loose fashion – maybe not in a shoe, but in certified mail or by a personal carrier, depending on the value of the diamond. If you are looking for a diamond engagement ring, you may want to know whether you should purchase a loose diamond for mounting, or purchase a pre-mounted diamond. The former seems like such a hassle. However, there are actually a lot of benefits to purchasing loose. Here are some things to think about before purchasing loose diamonds. https://i2.wp.com/nadb.com/wp-content/uploads/2016/05/loose-diamonds.jpg?fit=1905%2C700 700 1905 Summer Bowie http://nadb.com/wp-content/uploads/2015/12/NADB-transparent-logo.jpg Summer Bowie2016-04-10 08:22:142016-06-01 06:32:22Should You Buy Loose Diamonds? When it comes to designer engagement rings, there is a lot of bad and there is some good. It’s like anything – a city may have a hundred restaurants, but only a few are even worth trying. Well, you could say the same thing about engagement ring designers. 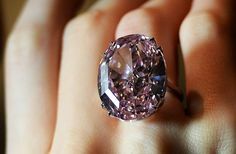 If you are reading this article, you are in luck, because we are going to explore some of the most popular designers in the world of engagement rings. Sometimes, it can be easiest to go for the most popular, because the designs are contemporary, but timeless and you don’t have to sift through a ton of duds to get to the good stuff. 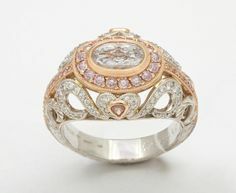 Here are some of the most popular engagement ring designers in the jewelry business today. If you’re ready to propose and are looking for the kinds of designer engagement rings that really turn heads, then you need to know exactly which designers are currently taking the market by storm. A simple hashtag search on Instagram for designer engagement rings will yield a million results from the most renowned designers to every retired teacher who decided to open an etsy shop and call themselves a designer. 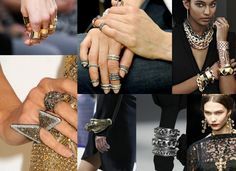 That’s why you need to really have your finger on the pulse of the high end jewelry market so that you know where to look. Here at NADB, we’ve always got our finger on that pulse and we’re always happy to share our research with the rest of the world. We’re also always happy to custom make pieces that are inspired by any number of classic designs at a fraction of the price. Here are 5 designer engagement rings that are really making waves.